A Montana mortuary business must pay a woman $50,000 after her husband was cremated against his wishes. The Great Falls Tribune reports a jury found a mortician at Miser Mortuaries in Conrad negligent in the decision to cremate 64-year-old Robert Yeager of Ulm after he died of liver and heart disease in October 2012. Enid Yeager told jurors that mortuary staff pushed her toward cremation because the larger casket needed to bury her husband would be costly. Miser’s attorneys said mortician John Nash simply recommended Robert Yeager be cremated because he couldn’t have an open casket funeral due to the swollen condition of his body. Nash said Enid Yeager signed off on having him cremated. All in all, I like the ruling. We all like black and white cases, but this one is painted in grey. I don’t think this was a matter of maliciousness on the part of either party, but rather a communication problem, a problem that rests more heavily with Mr. Nash. The conflict of this case was borne out of the complications in burying Robert in a casket: he died of liver and heart disease and, as a result, had grown considerably swollen with fluids shortly before and after his death. Court records and testimony included mention of splitting skin, building gases and leaking liquids. Who am I kidding, though. Nobody has ever wanted my body. The funeral business rests on the principle that we exist to serve you … within reason. Having an open casket viewing for a deceased person who is in the early part of active decay generally not within reason (how he got to this point is the question I’d like to know. I digress.). For those of you who have been around a decomposing body, you know of the troubles in which I speak. We’ve all smelled roadkill in the hot months of summer. That smell is tacos to human decompositions surströmming. Humans just smell the worst. The last thing you’d want is an open casket viewing for a decomposing body. It would literally be nauseating for everyone who came to the funeral with a sense of smell. However, if you can’t have an open casket viewing, cremation generally isn’t the next step down on the ladder of options. A closed casket with the body present is the next step down the options ladder. I find it interesting that the reports specifically mention that Mr. Yeager needed a larger casket for his swollen body, a casket that would have cost more money … perhaps significantly more money. Larger caskets often necessitate larger vaults, and larger vaults demand more grave digger costs, all of which can easily incur an added $1,000 to $3,000 in cash advances, half of which is associated with the cemetery. Funeral directors often tend to suggest less expensive options … like cremation, especially if funds are limited. And there’s nothing wrong with suggesting a less expensive option. I do it all the time. In fact, I usually tell the family that I’m going to show them the least expensive options first, and then they can go from there. This is where the problem happened. Obviously. Mrs. Yeager wanted something. Mr. Nash didn’t entirely hear her. Or, Mrs. Yeager wasn’t able to express it well enough for Mr. Nash to hear her because she had “grief brain.” But, Mr. Nash should have recognized her “grief brain” and listened a little more deeply. Look, I don’t think Mrs. Yeager is sue-happy and just wanted to get a quick mil from the funeral home. I think she is genuinely hurt and upset. And she has every right to be. I also don’t think Mr. Nash the funeral director was out to get Mrs. Yeager. I have no doubt he had good intentions. What I do know is this: Funeral directors (and this includes me) need to learn to practice deep listening and mindfulness. In fact (and I’m talking to us funeral directors), if you notice yourself unable to practice deep listening, it’s time for a sabbatical. Or it’s time to find another job (there’s no shame in quitting … too many funeral directors stay in this business far past their expiration date … and there’s an expiration date for EVERY career). 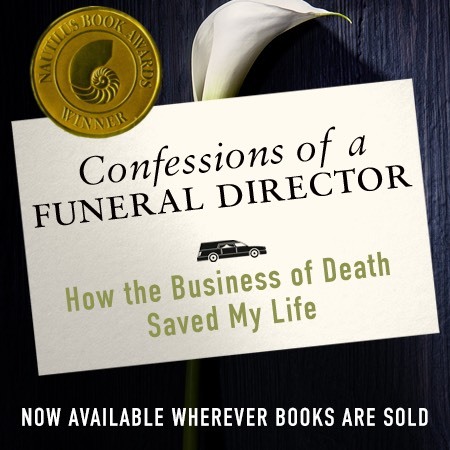 Because, for us as funeral directors, if we want to serve well, we have to deeply listen.